The past couple years have been fulfilling for Benny K, to say the least. He’s packed venues across the Midwest with his heartfelt folk sounds, and he has two successful CDs under his belt. Now, Benny K is bringing his music to Menomonie with an acoustic set at The Raw Deal on Nov. 1. Benny Koehler, a Twin Cities-based singer/songwriter, started his solo career in early 2012 after leaving his high school pop-punk band and his job as a church youth director. His solo endeavors were initially daunting and filled with uncertainty. Thankfully, through the help of friends, family and fans, Koehler has been able to establish a unique identity and sound. His music, influenced by The Clash and Woody Guthrie, has become an intriguing acoustic punk-folk blend. After hitting his stride, Koehler has made an effort to diversify his music through more politically charged lyrics and sophisticated song structures. “It’s kind of like a finely-crafted meal in that it’s got an appetizer, it’s got a desert and it’s got some substantial stuff,” Koehler said. Koehler’s musical evolution isn’t limited to recordings. He’s also been adding some diversity to his live performances through frequent requests and impromptu guest performances. At one gig, Koehler even had a cello player, whom he had never met before, join him on stage. He loves having guest performers because they “democratize” his music. Connecting with listeners and getting them interested is precisely what Koehler enjoys about touring. His travels throughout the Midwest—from Des Moines, Iowa to Ann Arbor, Mich.—have yielded plenty of enlightening stories and successes. “That is the upside of being on the road, among all the negative aspects of losing sleep, driving a lot, spending tons of money on gas, you make these little connections that you find in unexpected places that become huge,” Koehler said. Koehler has taken a particular interest in the people and the atmosphere of The Raw Deal, stating the establishment has “character” and makes for a great venue to come back to. Koehler encourages University of Wisconsin–Stout students to take this opportunity to see his set while he’s on his stride of writing and performing his best music ever. 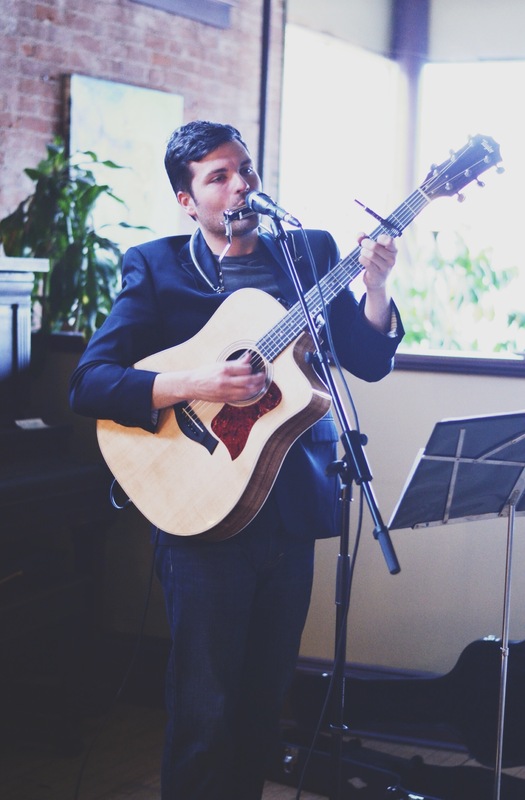 Koehler will be performing at The Raw Deal on Nov. 1 at 6 p.m. Feel free to request songs and put Koehler’s musical repertoire to the test, or come with your own instrument and join him on stage!